Allison’s family owns the storied Claiborne Farm near Paris, Ky., whose history has been richly intertwined with Keeneland since the track’s founding in 1936. Keeneland is a place that we both love and admire. My family is in the Thoroughbred industry, and Will, who is originally from Missouri, has come to love this emblem of our state. 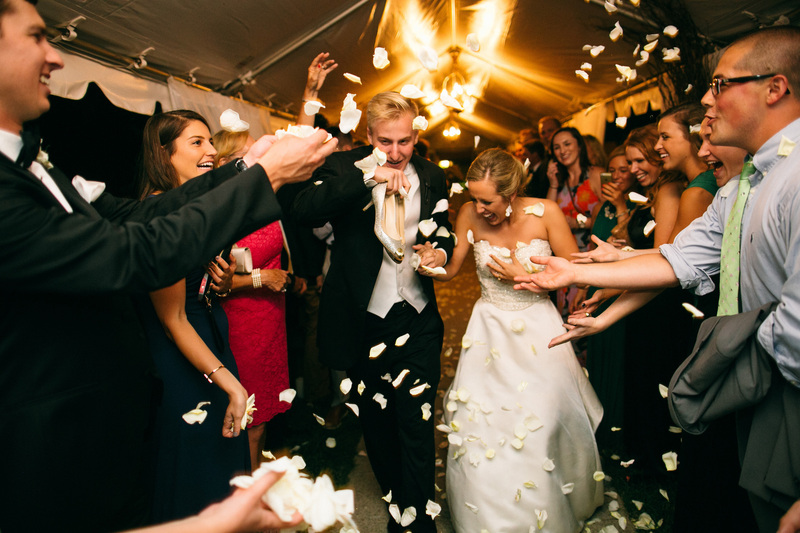 Allison and Will wanted their reception to embrace everything that being a Kentuckian embodies. 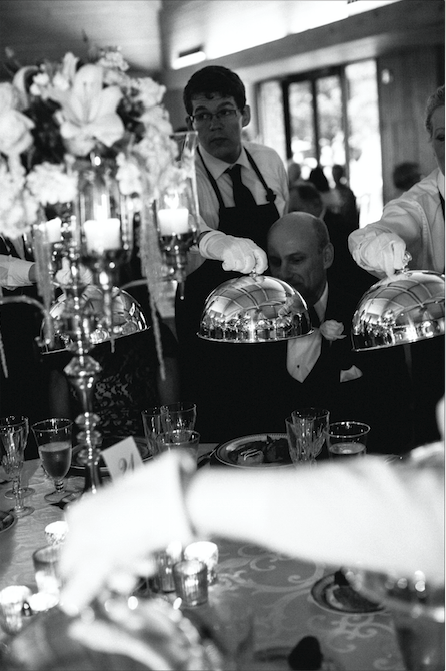 “Keeneland Hospitality did an amazing job helping us realize our vision with the food and drinks. We put Kentucky bourbon in anything that was acceptable (including the salad!) and tried to hit the other notables, like Kentucky Hot Browns, pimento cheese with cornbread, and fried green tomatoes.” The seated dinner of limestone bibb lettuce salad, sliced rosemary beef tenderloin and Pacific crab back was served in courses with synchronized service. “It was not only a luxury but also fun to watch!" "It had been a whirlwind couple of weeks for me after graduating college, being in a friend’s wedding, and a beach vacation. I hadn’t seen Will in quite some time, and he came over to my house the day I got home. He had dinner with my family and me, and then we decided to go on a walk. I live on a horse farm, and we started walking to one of the barns to feed the mares some sweet feed. When we got to the barn, he got the feed, and when he handed me the bucket, the ring box was inside. My brother was there to snap some pictures of the moment." What feeling or style were you trying to channel with your décor and color palette? "We really wanted a neutral color palette that would be timeless when we looked back on photos in the years to come. We accomplished this by picking a lot of gold, silver and black. 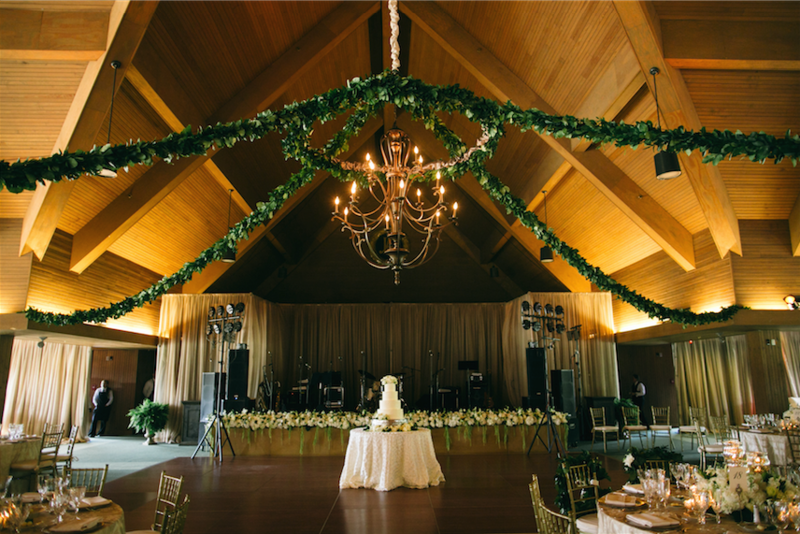 With our décor, we wanted the feel to be very authentic to the location, Kentucky and Keeneland, so we incorporated many equestrian-styled pieces. ​"
When you were planning, what part made you the most excited? "My favorite part was probably the design element, thinking about how we could make all our favorite things fit into our special day to make it uniquely ours. With the help of our planner, we were able to combine sequin tablecloths with leather couches, and it worked!" 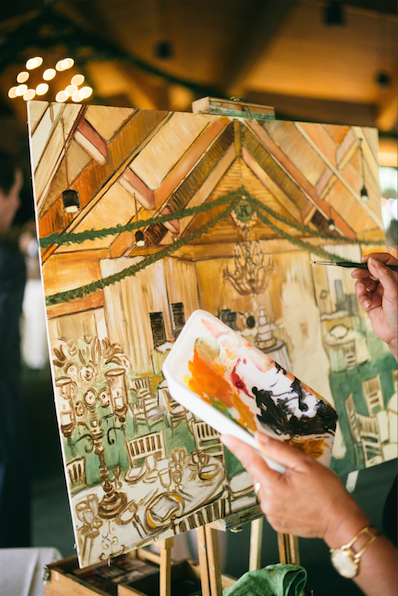 "We had a local artist on site painting the reception as it occurred. This is typical to see in the paddock at Keeneland on a beautiful spring or fall day, and we thought it was a fun way to carry on the Kentucky feel in our reception. At Keeneland, patrons can buy the artist’s painting, but lucky for us, we got to keep this one. It hangs in our house today, and we love thinking about it being passed on through our family as the generations go by." Were there any traditions that you tied into your wedding day? What made them special to you? "We wanted to have a traditional wedding ceremony, and we did so by having traditional songs and vows. On the other hand, our reception was special to us. We had lounge areas with couches so people who wanted a more comfortable place to mingle or didn’t feel like dancing could relax there. We tried to think of everyone’s wants and needs! We were so thankful that our guests took time out of their weekends to celebrate us, so we wanted them to feel comfortable and special."